The Cesky Terrier is a well-muscled, short legged and well-pigmented hunting terrier that was developed to be worked in packs. The breed originated in the Czech Republic and is considered one of the country’s national breeds. As such, it has been featured on postage stamps, on television, in books and even in a movie. The Cesky has natural drop ears, a natural tail, and sports a soft, long, silky coat in shades of gray from charcoal to platinum. Mr. Frantisik Horak, an avid hunter and breeder of Scottish Terriers, had a vision of creating a terrier suitable for hunting in packs in the forests of Bohemia. In 1949, he completed the first breeding between a Scottish Terrier and Sealyham Terrier that would eventually become the Cesky Terrier. In 1950, he reported his records of these breedings to the Czech Terrier Club (FCI) and made the request to name the new breed the “Cesky (chess – key) Terrier.” Keen and alert, the Cesky Terrier has been used in hunting fox, rabbits, ducks, pheasants, and even wild boar. 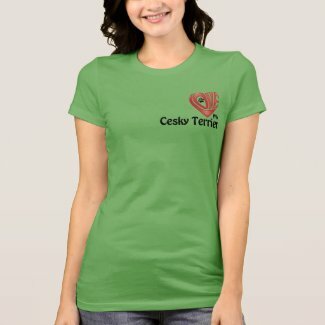 Click HERE to go to the Cesky Terrier Store where all products are listed. Do you Love your Cesky Terrier? Then share it with others. The “LOVE” is custom-designed so that it forms a heart shape, and is slightly to the left so that it lays over your heart. Features the hot look these days of the 3D gel style. 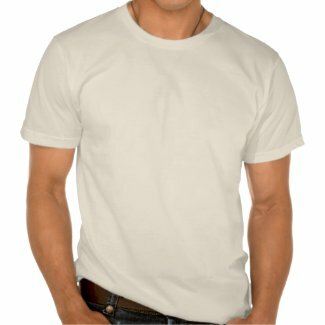 This design is feature on a women’s short sleeve t-shirt, but you may change to any style and color.